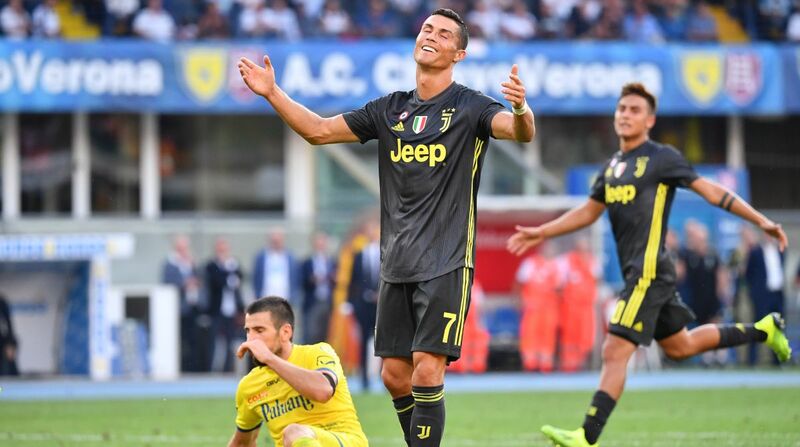 Cristiano Ronaldo failed to score on his Serie A debut but champions Juventus won 3-2 at Chievo as Carlo Ancelotti began life as Napoli coach with a come-from-behind 2-1 victory at Lazio in two bruising opening matches of the 2018-2019 league season. Ronaldo, 33, who joined the Turin giants from Real Madrid last month in a deal worth 100 million euros (USD 114.5 million), clenched his fists with delight as his team earned all three points despite his four missed chances. “We understand each other, and we make a perfect team together. We have to go on like this.” The champions were made to work after Germany international Sami Khedira opened the scoring after just three minutes at the Bentegodi Stadium for the seven-time defending champions.